It’s hard to believe that Paramount’s Transformers franchise was launched over a decade ago. In 2007, Michael Bay’s Transformers kicked off a franchise that would ultimately gross more than $4 billion at the global box office. But the most recent film, 2017’s Transformers: The Last Knight, was the lowest-performing entry. Paramount realized the franchise needs a fresh coat of paint. Fortunately, the studio found director Travis Knight. 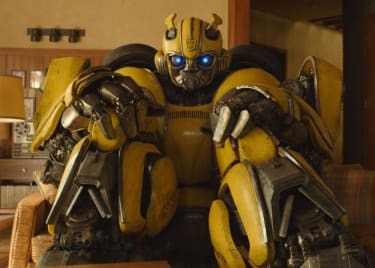 His film Bumblebee looks like just what the series needs. How will Knight’s Bumblebee differ from previous Transformers films, and what new direction is Paramount charting with this first Transformers spinoff? Here’s everything we know about Bumblebee. Michael Bay’s Transformers movies are known for high-octane action, with armies of giant robots clashing and humans caught in the crossfire. The stakes are typically sky-high, with the fate of the entire robotic race being decided in each battle. Bumblebee is different. Knight’s movie has no Autobot and Decepticon armies; it focuses on a lone Autobot, albeit with a few cameos from others. In this film, we’ll see only three Decepticons on Earth, and the trailer suggests their sole purpose isn’t to acquire some sort of edge in the war. They just want to hunt down and kill Bumblebee. The stakes have never been smaller, but there’s a reason for that approach, and a benefit. Knight’s character-focused film wants to answer one simple question: Why does Bumblebee care so much about the human race? In Bay’s films, the plucky Autobot already had an empathic connection with humans. 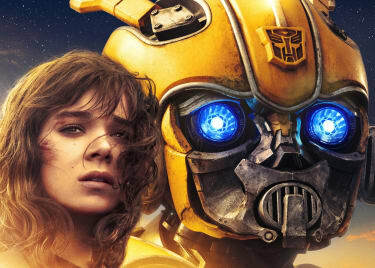 Knight’s movie explores that aspect of the robot in a story arc in which Bumblebee becomes friends with an Earth girl, Hailee Steinfeld’s Charlie Watson. As teased in the trailer, Charlie discovers a wounded Bumblebee and soon becomes a good friend to him. The dynamic between Charlie and Bumblebee, and the personal growth both undergo, promises to be the centerpiece of Bumblebee. That’s why the trailer was light on explosions, and heavy on heart. Compared to the Michael Bay movies, this is a fundamentally different approach. If successful, it will presumably launch a whole range of spinoffs that explore other characters in the Transformers universe, Autobot and Decepticon alike. When we get the next full-scale war movie, all of these “Robots in Disguise” will feel like fully-fleshed-out characters in their own right, and the dynamic between them should be what drives the story. Basically, think of how Marvel built up individual characters before bringing them together in The Avengers. 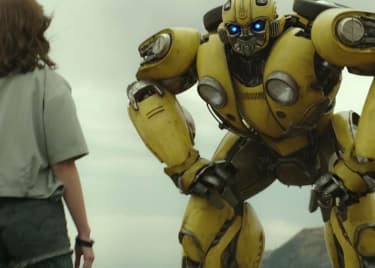 Rather than acting as a new sequel, Bumblebee is a prequel to the previous movies. Writer Christina Hodson says there’s one simple reason she set the prequel in the ’80s: nostalgia. We know nostalgia is big business, as proven by the success of shows such as Netflix’s Stranger Things. Hodson realized that nostalgia is a major selling point for the Transformers franchise, given it was originally launched in the ’80s. So, while other Transformers films have placed the Robots in Disguise in the present day, designing the Transformers as modern vehicles, Bumblebee is different. The production team has reverse-engineered the main hero, creating a design that, while clearly an ancestor of the version already seen in the films, is also an homage to the so-called “G1” look from the first wave of Transformers toys and animation. This is the first Paramount movie to embrace these concepts. Ironically, employing nostalgia is key to Bumblebee‘s fresh take on the series. Ultimately, the swing back to the ’80s is only superficially important. The real key is the creation of a smaller story with a focus on character. If Bumblebee succeeds, we can expect future Transformers movies to do more to honor the classic animated origins of the Transformers franchise. More prequels seem inevitable (producer Lorenzo di Bonaventura is openly talking about an Optimus Prime movie) and designs are sure to continue to be inspired by the G1 ideas. Regardless, Bumblebee looks like the best possible approach for a new Transformers film, and first step on the way to finding a new balance for the series. 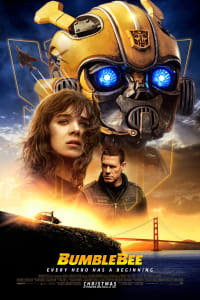 Bumblebee opens on December 21.